Would you like to make 2017 the year your business really takes off? Most small businesses owners now realise that how we market our products and services has changed forever…in 2017 small business owners are able to engage with potential customers in ways that were previously only reserved for the giant budgets of big corporations. Here at My Marketing Solved, we champion small business owners and want them to be all that they can be. Our Marketing Growth Plan provides you with a growth strategy that is bespoke to you and your business, is jargon-free, easy to follow and designed to be acheivable, no matter what little time and resource you have. Do you feel that your marketing and lead generation activities could be better targeted?Are you looking for a cost effective strategy to increase sales and grow your business? Have you held back from seeking external marketing services because of the cost typically associated with them? Yes it is as simple as it sounds…you simply go ahead and name the price you are happy to pay. Once the work is complete, if you are happy with what was delivered, then you will be invited to ‘top up’ the payment with what you feel is appropriate or leave it at the amount you paid – either way, there is zero pressure. You will receive a clear and complete plan of action and the new found knowledge and tools to be able to make it happen. Your new plan will include tips and strategies, bespoke to you, that will help you generate a steady stream of new leads into your business. We suggest the ideas and strategies that will make you stand out from the noise and get your business and services noticed. We suggest the strategies that suit your individual business and can start to generate new leads with minimum effort from your side. Your strategy will include a monthly content creation calender clearly outling what you should ideally be producing and how often.  Your new plan will eradicate the need to pay a marketing company to manage your marketing, keeping everything in-house. Marketing is changing daily. What works one day can soon be obselete the next. We can help you future-proof your business and stay relevant. Your plan will include the online time saving tools that will automate your social posting and free up your time to work on your business. While it is true that we live in uncertain times, it is also true that there has never been a better time to run your own business. The opportunities for small business owners to become independently wealthy and design a life that others could only dream of, are very real and very obtainable. Does it take hard work?…Yes, like anything worthwhile, it requires focus and consistent effort. Does it require luck?…Absolutely not, luck may be a welcome bonus, but you do not need luck to develop the business and the life that you want. What you need is access to the right information, and a clear and precise plan to get you to where you want to be. At My Marketing Solved we empower business owners like you. We create highly-effective, results-led marketing plans that ensure your business goes from strength to strength. We use a mixture of the latest growth hacking strategies, solid and proven marketing methods and our freshly learnt knowledge of your business to carefully craft your very own bespoke Marketing Growth Plan, designed to transform you and your business. Simple to follow. Powerful results. Recent data collected from UK business owners listed the lack of a robust marketing plan, (or time to plan it), as the second biggest challenge facing small businesses in 2016. Over 80% admitted frustration because they knew they were not achieving their full potential due to either lack of time, or marketing expertise. Our Growth Plans are designed to eliminate this frustration and help you to grow your business to where you want to be. Many small business owners feel overwhelmed by digital and social marketing, and unsure what areas to focus on to effectively attract their target audience. With our growth plan in place, you won’t need to worry that you’re not doing enough on Twitter or you are missing your audience on Facebook. You won’t be wondering whether Adwords is right for your business and how much you should be looking to spend. Our plans remove the anxiety and procrastination that holds so many companies back from fulfilling their potential. Imagine the feeling of having a robust marketing plan in place, that has been specifically designed for your business and it’s individual needs and is generating a steady stream of new leads each month. Everything has been fully researched and planned and all you have to do is follow clear, simple steps. With our Marketing Growth Plan you can wave goodbye to marketing confusion and say hello to marketing success. As soon as purchase this plan you will receive our Discovery Questionnaire which is designed to let us get to know you and your business as quickly as possible. Once you have emailed back your completed questionnaire we will start the process of getting to know your business. There may be one or two more questions that we will ask you to ensure we have clarity on where you are currently and where you would like to take your business. Now that we understand your business and your goals we are able to start working on your Marketing Growth Plan. Plans normally take between 4-6 weeks to produce and will be emailed to you once completed. We will of course be available to discuss your plan whenever suits and answer any questions that you may have. Since working with Sally and her team, I have been thrilled with the level of marketing support and improvement across all areas of our marketing. Our online sales are increasing on a daily basis and our social presence is most definitely on the rise. We are very happy. I have been blown away by the impact this has had on my business. My Marketing Solved have transformed our website and taken our marketing to a whole new level. Outsourcing my marketing turned out to be the best thing I have done in years. I was always extremely busy covering the day to day demands of the business to really put any focus on social media. Purchasing the Social Media ROI plan was a genuinely great move, it gave me an easy to follow plan that soon helped me create an online community of followers interested in my company. Do your plans work for any industry / what industries do you specialise in? Your growth plan will be completely tailored to you, your business and your industry. There is a targeted marketing strategy for every type of business and we will develop the best one for yours. The MMS team house a deep wealth of sector knowledge and insights spanning many industries; Retail, IT, Finance, Health & Beauty, Construction, Autos, Pharmaceutical, Media, Not for Profit and many more. We draw on our marketing, advertising and sales strategy knowledge accrued across the last 15 years, to make sure that your new strategy is as targeted and effective as possible. We believe that knowledge is power; To be able to develop a successful marketing strategy, research and insights are absolutely vital. In the very simplest terms, you first need to understand your marketplace, its size, value, key issues, seasonality the main competition etc. You then need to understand your target audience and their behaviours; how they live, their purchasing behaviour, how and where you can best reach them and what you need as content to truly engage them. MMS use tried and trusted research organisations and methods to ensure all our planning is based on robust data. We care passionately about your business and always look at the big picture and the smallest detail when considering how to best achieve your objectives. Your growth strategy will be a carefully researched, highly targeted, easy to follow road map to help you achieve your business objectives and drive sales. Your plan will look at your past marketing activity and business performance. It will scope your marketplace, your current position within it, the competition and other general industry-related factors that have bearing on your business performance. Working with you we will establish your business objectives for the year and clearly identify your target audience, who they are and how to reach /engage them. The plan will then outline what your sales and marketing activity should be across the next 12 months and how to implement it to achieve your business objectives, be they raising awareness, increased sales, new product launch etc. The plan is easy to follow and we can also provide recommendations of preferred suppliers like designers and web developers if you require them. How long will I have to wait for the plan? The average time for production of your plan is between 3-4 weeks. My business has seasonal peaks and troughs, will the plan cover this? Yes of course, and many more of your businesses key industry issues. We believe marketing and research insights go hand-in-glove when producing the best possible, targeted strategy. To be able to develop a successful marketing strategy for your business, you first need to understand your marketplace and examine all the key variables, its size, value, key issues, SWOTS, seasonality, the main competition etc. You then need to understand your target audience and their behaviours; how they live, their purchasing behaviour, how and where you can best reach them and what you need as content to truly engage them. We take time to fully understand your industry and develop an accurate marketing strategy for you as a result. Tell me more about how you will you get to know my business? We get to know you and your business through two methods; a robust Questionnaire and a Discovery call. QUESTIONS?..GO AHEAD AND ASK US ANYTHING.